UGA Theatre’s production of three medieval farces, which were traditionally performed by male actors, features an all-female cast. UGA Theatre’s presentation of Peas, Patelin and Purgation: Three Farcical Arts of the Deal features a world-premiere translation directed by Marla Carlson, an associate professor in Franklin College’s theatre and film studies department. Performances are March 19-23 at 8 p.m. and March 23 and 24 at 2:30 p.m. in the Cellar Theatre. Tickets are $12 and $7 for UGA students. Tickets can be purchased online at www.ugatheatre.com/threefarces, by phone at 706-542-4400 or in person at the Performing Arts Center or Tate Center box offices. A down-on-his-luck lawyer sets off an endless chain of deceit that backfires on him. A young husband turns a messy accident to his advantage. A foolish man attempts to sell a sack of peas, hampered by the worst memory ever. Featuring three comedic stories of negotiations gone awry, Peas, Patelin and Purgation presents a modern twist on the time-honored tradition of medieval farces. Characterized by quick, witty banter, physical comedy and misogynistic undertones, farcical theatre of the 15th and 16th century conventionally relied on an all-male casts to convey its narratives. 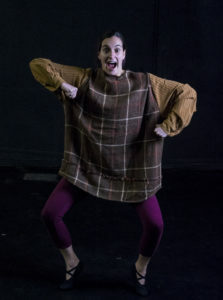 As director of UGA Theatre’s production of Peas, Patelin and Purgation, Carlson has inverted this paradigm by casting all females in her production. “Washtub” is a short comic gem about how a young husband turns a messy accident to his advantage, ending an argument over who should do the housework. Patelin is widely recognized by medieval French scholars as the genre’s masterpiece. One of the most popular and influential plays of the 15th century, it tells the story of an old lawyer who sets off an endless chain of deceit that backfires. UGA’s production of the third play “Farce of the Peas,” is an historic event. The play, recently discovered in a manuscript containing 74 plays from the city of Rouen, has not been performed in close to 500 years. Ario Longtin, an associate professor of French at the University of Western Ontario, is spearheading an effort to translate the plays for the first time into English. Longtin invited Carlson to co-translate the play to bring out its full comic potential and make it come alive for 21st-century audiences. Following its premiere run at UGA, the production will travel to Genoa, Italy, in July for a special performance at the 16th-triennial colloquium of the Societe Internationale pour l’Etude du Theatre Medieval.